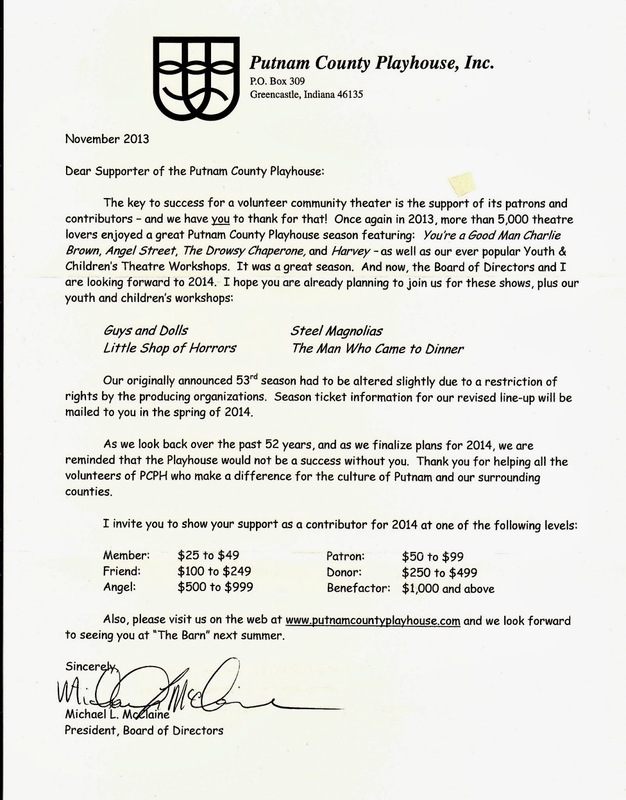 Putnam County Playhouse: 2014 Fund Drive Underway! The letters for the 2014 Fund/Membership Drive are now in the mail. Please return your donation card as soon as possible! If you haven't received your letter, or if you are not on our mailing list, and would like to contribute please click on the "Contact Us" tab at the top of the page, and then click on the 2014 Fund Drive Form link. Directors and audition dates for our 2014 season will be announced soon! Keep watching the website! Thank you for your continued support.